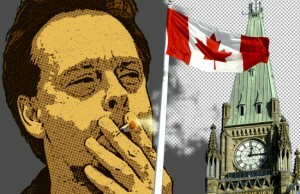 Free Marc Emery - Let's Bring Marc Home! Free Marc Emery - Let's Bring Marc Home! Free Marc Emery - Let's Bring Marc Home! CANNABIS CULTURE – New Democratic Party, Liberal and Green Party Members of Parliament will hold a joint press conference on Ottawa’s Parliament Hill with Jodie Emery, wife of imprisoned marijuana activist Marc Emery, to call on the Conservative government to approve Marc’s transfer home to serve the remainder of his prison sentence in Canada. NDP Deputy Leader Libby Davies, Liberal Public Safety Critic Wayne Easter and Green MP Elizabeth May will join with Jodie Emery on Tuesday, October 29 at 10:30AM (130 S Centre Block – Charles Lynch Room) to publicly ask the government for Marc Emery’s return to Canada. Marc Emery, a Canadian businessman and activist, was extradited to the US in 2010 and imprisoned for a five-year sentence for selling millions of dollars worth of marijuana seeds and using all the profits to fund marijuana legalization activism. Though the US government has approved Marc’s transfer to serve the remaining part of his sentence in Canada, Conservative Public Safety Minister Steven Blaney has not yet signed the paperwork or spoken publicly about the issue. Supporters are encouraged to rally outside Parliament at 10AM EST to peacefully demonstrate and show solidarity with the imprisoned activist. Jodie is asking for Canadians to phone blitz the Public Safety Minister’s office by calling throughout the day on October 29 to represent the support of citizens across the country who aren’t able to make it to Ottawa. The event will be broadcast LIVE online at Pot TV and Cannabis Culture so supporters and fans are welcome to watch the campaign unfolding live in real-time, and to phone the Public Safety Minister’s office during the press conference and Pot TV broadcast. During the press conference, Canadians are encouraged to call the Public Safety Minister’s office throughout the day, so they can represent the support of citizens across the country who aren’t able to make it to Ottawa. The phone blitz will hopefully keep the Minister’s office busy during the course of the press conference and into the afternoon. CLICK HERE for the contact information for Public Safety Minister Steven Blaney, along with basic facts about Marc’s case – and please remember to always be polite! Jodie plans on presenting petitions signed by Canadians who want Marc home. CLICK HERE to download the petition, collect as many signatures as possible, and forward to Jodie through email. The US Drug Enforcement Administration admitted on the day of Marc Emery’s arrest (July 29th, 2005) that his investigation and extradition were politically motivated, designed to target the Marijuana Legalization organization that Emery spearheaded and ran for over a decade in Canada. Today’s DEA arrest of Marc Scott Emery, publisher of Cannabis Culture Magazine, and the founder of a marijuana legalization group — is a significant blow not only to the marijuana trafficking trade in the U.S. and Canada, but also to the marijuana legalization movement. Hundreds of thousands of dollars of Emery’s illicit profits are known to have been channeled to marijuana legalization groups active in the United States and Canada. Drug legalization lobbyists now have one less pot of money to rely on. Over a year ago, after getting the transfer application rejected, one of my lawyers put in a Freedom of Information request about me to the DEA, FBI, Department of State, Bureau of Prisons, and other U.S. federal agencies. The FBI claimed not to have any file on me, others sent minor paperwork, and the DEA stalled – claiming that with so many email accounts and servers to go through, they couldn’t afford the time to do it! But finally, some the DEA files were handed over; heavily redacted too, of course. These sentiments are confirmed by the investigation conducted by the San Francisco FD into the numerous Western Union wire transfers initiated by Marc EMERY to many marijuana political activists around the world. The San Francisco Field Division, in coordination with the Blaine Resident Office is investigating Marc EMERY. At the request of Blaine RO, SFFD has conducted an analysis of Western Union wire transfers sent by EMERY for the period 5 April 1999 until 5 April 2004. In total, $753,712.14 was transferred by EMERY through Western Union Financial Services. The financial analysis revealed that EMERY distributed this money to candidates for elections in the United States, Canada, Australia and other countries. This Report of Investigation details the significant websites and email accounts documented in cables DTG: 102055Z June 2005 and DTG: 102110Z June 2005. So there you have it. Although I have claimed all along to have donated millions of dollars (all my seed profits) to activist efforts in those ten years I was a seed seller – because that was the point of the seed business – it’s still nice to have the DEA confirm this. And out of the San Francisco Field Office of DEA, at that. The United States approved Marc’s prison transfer request to finish his sentence in Canada, but the Canadian Public Safety Minister, Steven Blaney, has not approved Marc’s application yet! There is no deadline for a response, so we need supporters to politely and constantly ask the Minister to sign Marc’s transfer forms. Marc was ordered extradited to the United States in May 2010 by the Conservative Government of Canada, and detained to await sentencing in a Seattle federal court on September 10th, where he was given a five-year prison term for selling marijuana seeds and funding political activism campaigns. For that reason, we’re choosing Tuesday, September 10th as a “Phone Call Campaign” to encourage Minister Blaney to approve Marc’s request to come home. Please be polite when calling the four phone numbers listed for Public Saftey Minister and Member of Parliament Steven Blaney (pronounced “blay-nee”). It could be useful to have some of the basic facts about Marc, which have been posted here at the FreeMarc.ca website. You can read aloud the following (either to the secretary who will answer the phone, or to the voice mail recording) or you can say something similar, based on how you feel about what has happened to Marc – but please remember to always be polite! And if you ask for an official response (which will require you leave your contact information) the office staff will have to use time and resources to reply, so they might be more inclined to tell the Minister to approve Marc’s transfer so they can get back to their normal workload! Faxes and letters are also useful, as they are physical copies of paper that the Minister is supposed to receive and review. Please remember to keep your message very short and simple so that it’s more likely to be read. You can also ask for a response by phone, email, fax or letter, but be sure to include your contact information. When Will Marc Be Free From Prison? Marc has made his formal application to be transferred home to Canada for the remainder of his prison sentence. The United States Department of Justice is due to make a decision at any time; if they approve Marc’s request, the Canadian Public Safety Minister must then review his application, too. Please encourage both countries to approve Marc’s request to come home! Please send a polite letter to the US Department of Justice transfer division, requesting that Canadian citizen Marc Emery be approved for transfer home to Canada from the United States federal prison system. 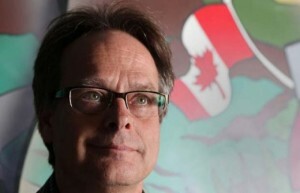 • Marc Emery declared his income from marijuana seed sales on his income tax, and paid over $580,000 to the Federal and Provincial governments from 1999 to 2005. • Marc Emery gave away all of the profits from his seed business to drug law reform lobbyists, political parties, global protests and rallies, court litigation, medical marijuana initiatives, drug rehabilitation clinics, and other legitimate legal activities and organizations. In a situation that must have deposed BC NDP leader Carole James smirking today, she – whom, according to the rebels like Jenny Kwan, Adrian Dix and others, couldn't win an election in BC (despite taking the BC NDP from 2 seats in 2001 to 40 seats in 2009) – won her seat while the BC NDP collapsed spectacularly in unprecedented way. The NDP was 20 points ahead of the Liberals only six weeks ago. Twenty points! And yet, after election night last night, the NDP was five percentage points behind, and 17 seats behind, a collapse of 25% of the electorate. The Liberals had 45 seats to the NDP's 40 seats before the May 14 vote. Now it's 50 Liberals – and of course, this is really the Socred alliance, as the Conservative vote collapsed and fell in line behind the BC Liberals, whose candidates by and large are even more conservative (in the bad way) than the new BC Conservative party. Current BC NDP leader Adrian Dix has to be the most uninspiring, charisma lacking, vacant 'leader' ever, and offered up nothing to the voters of BC that could inspire confidence. No policies, no platform, no campaign. "Just let the Liberals implode" was the whole BC NDP campaign. Astonishing arrogance, such hubris! The BC Greens have a new leader and their first Member of the Legislative Assembly (MLA) in climate scientist Andrew Weaver, elected in Oak Bay-Gordon Head, a riding that overlaps federal Green Party leader Elizabeth May's Saanich-Gulf Islands riding. This is great news for the BC Greens, who have been declining in popularity since the 2001 election campaign when they received more than 12% of the BC vote. It dropped to 9% in 2005, then 8% in 2009 and 8% in 2013 under Jane Sterk's unfortunately inadequate (and largely invisible) leadership. The BC Greens could have had a higher percentage but for an unexplainable decision not to run candidates in every BC riding. Huge gaps across the province, in areas like the two ridings in my wife's hometown Kamloops, did not have a Green candidate – which left a lot of people disappointed. Had the Greens run in all 85 ridings, I believe the total would have exceeded 10% of the total provincial vote. Hopefully in the next election, four years from now, the BC Greens will have a candidate in every riding. I am particularly proud of my wife Jodie and her campaign in Vancouver-West End as the BC Green candidate. Despite so much going on in her regular life, Jodie campaigned every day for the final 15 days of the campaign with a shoestring budget of her own money, and received 1,897 votes for 11.1% of the riding total. (Absentee ballots will be counted in the next two weeks and then added to all candidates' vote totals across BC.) That was an increase over the previous 9% result for the riding, and a doubling of her own personal total of 904 votes in the 2009 BC election campaign as the BC Green candidate in Vancouver-Fraserview. The BC Greens are far more progressive on almost every issue than the BC NDP, who are still the proxy for organized labour unions. As to the BC Liberals, leader Christy Clark proved that chutzpah can win elections. She lost her own seat to BC Civil Liberties Association lawyer and NDP candidate David Eby, so some poor sap of a Liberal MLA will have to give up their safe Liberal seat so Clark can parachute into it and get a seat in the Legislature. Some lucrative government appointment awaits some lucky BC Liberal MLA! Clark won by standing up for something while the BC NDP seemed to stand for nothing. The Liberals hammered the NDP for its apparent policy-less drift, and the accusation resonated with voters. Premier Christy Clark has done the Boston Bruins one better, no doubt – a political come-from-behind that I doubt is equaled in any province over the last 30 years. It's a shame that her government is filled with regressive troglodytes like Mary Polok, Rich Coleman, RCMP-kissy-face Daryl Plecas, and numerous others. But the Liberals also now have former Vancouver Mayor Sam Sullivan, who (if he resists being whipped into line by Premier Clark) actually believes in legalization and ending prohibition. And the drug policy reform movement has another hope in newly-elected BC NDP MLA David Eby, but both of these two parties are so controlled by (largely inept and corrupt) leadership that I doubt we'll ever hear Sullivan or Eby seriously ever criticize the police or prohibition ever again, and certainly not while in the legislature. As former Liberal MLA Kash Heed showed, and current NDP MLA Nicholas Simons reminded us, the Legislature is where anti-prohibitionists go to "shut up and never be heard from again" in any meaningful and relevant way. Thankfully, this was the last election in the USA or Canada that I'll ever be absent from participating in as a result of my current exile. I'm excited to be Jodie's campaign manager if she seeks to run in Canada's 2015 federal election as the Green Party candidate for Vancouver Center, which includes all of the provincial riding Vancouver-West End where she ran in this time. We'll raise serious money to do an effective election campaign with mail-outs, phone banking, advertising, more buttons and signs, and an organized volunteer campaign. Jodie and I have worked together for our entire relationship as a "campaigning couple", and she did her best in this election while I've been imprisoned so far away, but I know we're both eager for my return home so we can campaign as a team again. It will be three years ago on May 10 that Marc was surrendered for extradition. He now has 425 days left of his U.S. prison sentence. The paperwork has been filed with the US Justice Dept. requesting his transfer back to Canada. If you'd like to write to Marc, visit http://www.FreeMarc.ca for the details — he'd love to hear from you. Shop online at http://www.CannabisCulture.com/store or visit the world-famous Marc Emery's Cannabis Culture Headquarters store at 307 West Hastings Street in Vancouver. We're open 7 days a week. "We've got everything you need but the weed!" Jodie also hit the papers with her letter to the editor having been published in both of our major newspapers in BC, The Vancouver Sun and The Province. The letter was in response to an article about police and "drug impaired driving", and Jodie's explanation about how impairment is proven by performance. She reads the letter to us. Shop online at http://www.CannabisCulture.com/store or visit the world-famous Marc Emery's Cannabis Culture Headquarters store at 307 West Hastings Street in Vancouver. We're open 7 days a week. "We've got everything you need except the weed!" We're a day late with the show, but much is happening in Jodie's busy life. She's got great new photos of Marc with his band mates in the studio to share and Marc's new blog is up at http://freemarc.ca/. 420 here in Vancouver was a massive success with probably 30,000 supporters in attendance at the Art Gallery. We had a full line up of music, circus performers and speakers all day with a huge celbration at 4:20. Look for photos from Jeremiah at http://www.CannabisCulture.com/ and videos coming at http://www.pot.tv. Vice Magazine has finished their documentary about pot on the west coast and our Cannabis Culture is featured with Jodie, David Malmo-Levine and Dana Larsen all being interviewed. You can see that at http://www.CannabisCulture.com/. Jodie continues to be very busy with her election campaign. Last night she attended an all candidates debate and she tells us all about it. You can visit her page at: http://jodieformla.ca/ to find out more and show your support. Vote Green May 14! Another winner is picked from the BubbleBag to will freemac prizes. To have your chance send an email to: jodie@cannabisculture.com. If you're not in Vancouver, go to http://ww.420rally.ca to find out what's happening in or near your town or city across Canada. Jodie tells us a bit about her quick one-day visit to Halifax, where she filmed a movie scene for the upcoming Trailer Park Boys 3 feature film – appearing as herself! Jodie's very busy with her election campaign for the provincial election coming up on May 14th. You can visit her page at http://www.JodieForMLA.ca to find out more and show your support. There's lots of media ahead with Jodie appearing on Global BC1 at 9:00am Friday, and then to CKNW for the Bill Good Show across BC at 11:00am, as well as doing more media with the Vancouver Observer and News 1130, getting her chance to spread our message about legalizing cannabis and our purpose for 420. Jodie chooses two more winners of a Free Marc t-shirt, stickers and a pin, along with a bonus prize! Get your name in the BubbleBag by sending an email to: jodie@cannabisculture.com. Shop online at http://www.CannabisCulture.com/store or visit the world-famous Marc Emery's Cannabis Culture Headquarters store at 307 West Hastings Street in Vancouver. We're open 7 days a week. "We've got everything you need except the weed!"